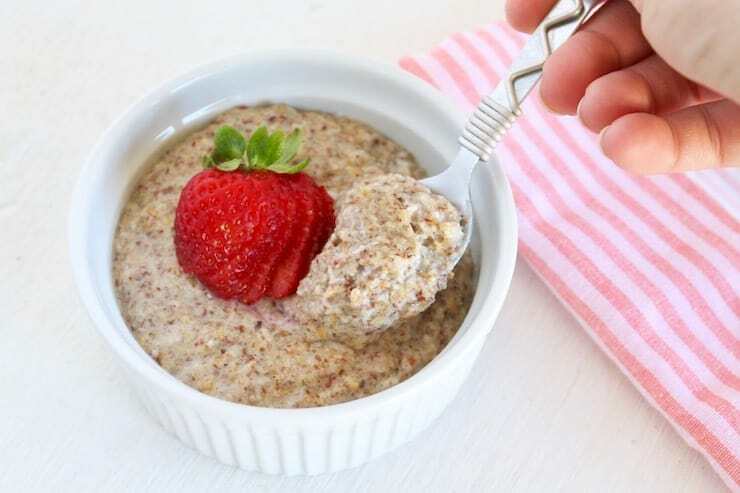 This low carb oatmeal recipe is a great easy paleo, vegetarian or vegan breakfast recipe that is high in protein and low in carbs. 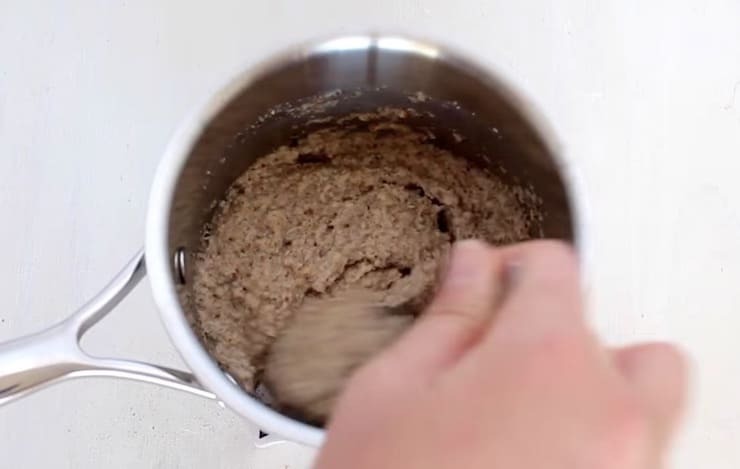 It's easy to make and has a versatile nutty flavor with a thick oatmeal-like texture. 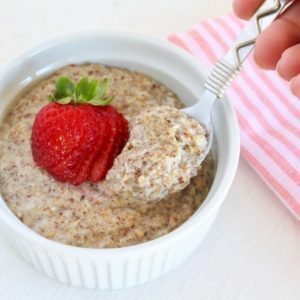 This low carb oatmeal recipe is a great easy paleo, vegetarian or vegan breakfast recipe that is high in protein and low in carbs. It’s easy to make and has a versatile nutty flavor with a thick oatmeal-like texture. A low-carb, paleo AND vegan oatmeal recipe? Can it be true? Yes! And it’s a super delicious warm breakfast option with cinnamon and berries on top! I love making this recipe when blueberries are in season so I can top it with cinnamon and blueberries. I have this low carb oatmeal recipe in my regular breakfast rotation pretty often. 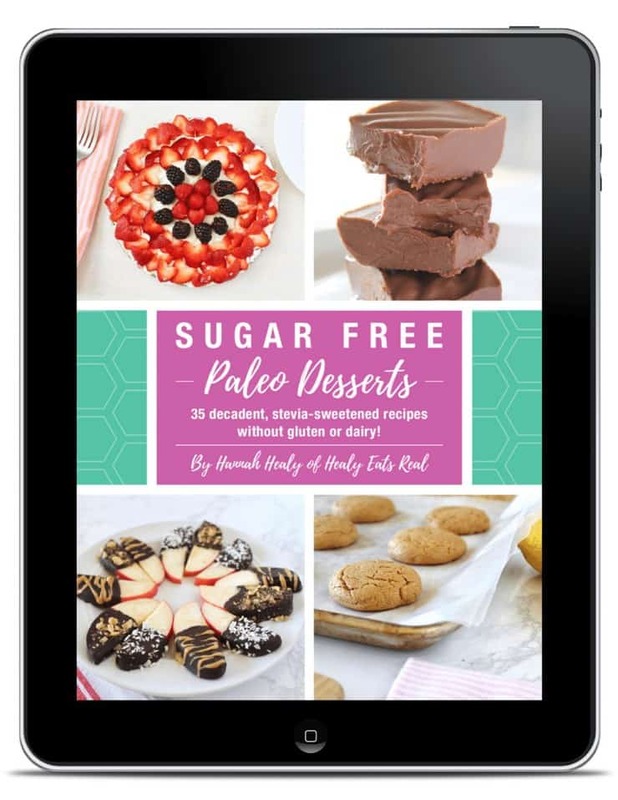 I have another paleo oatmeal recipe that is tasty and sweet, but it is not low carb since it utilizes a whole banana. I’ve been trying to have a lower carb breakfast lately but I’m getting bored of eggs, so I thought a revised low carb oatmeal would be a great option! 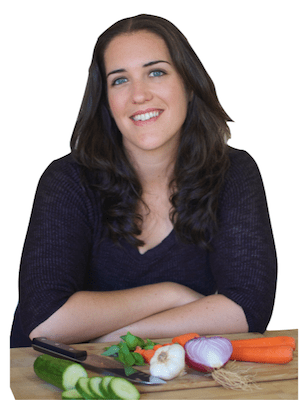 It’s a great healthy low carb vegan, paleo or vegetarian breakfast option. Sometimes you get tired of eggs or smoothies and want something different and that’s why this recipe is so great! 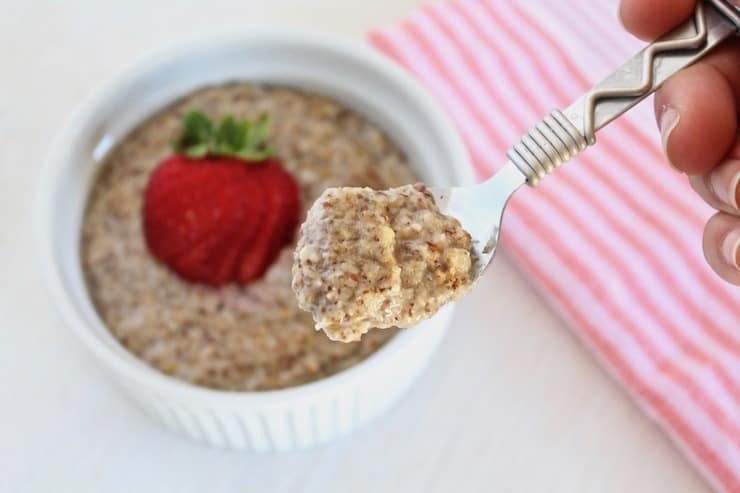 This low carb oatmeal recipe is SUPER quick and easy to make. It only takes about 10-15 minutes to whip up in the morning. 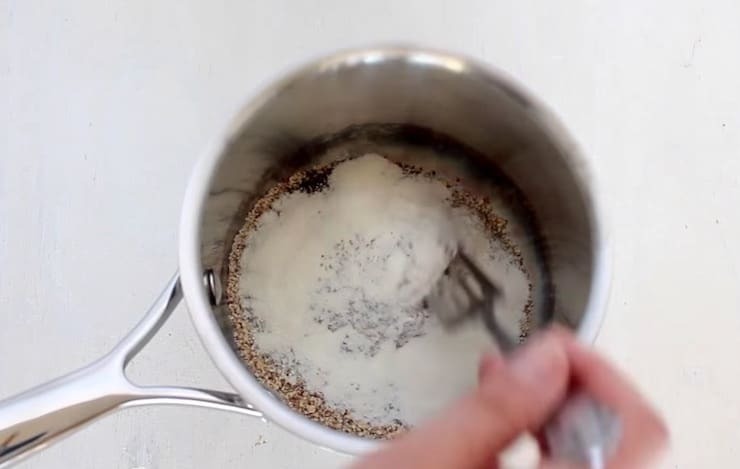 If you are really in a pinch for time, you can put together all of the dry ingredients the night before, then just add the wet ingredients in the pot in the morning to make it even faster. The nuts and seeds mixed together creates a great rich and thick texture and a great earthy nutty flavor that is very versatile. You can easily change the flavor of this recipe by changing the toppings. To make the vegan version, take out the egg, replace the gelatin with a vegan protein powder, replace the honey with maple syrup and add in 2 tbsp of ground flax instead of 1 tbsp. For the low-carb option, you can remove the honey and if you want, you can replace it with a low-carb sweetener like stevia (I like this brand–no weird additives). Without honey this no oats oatmeal has only 6 Net Carbs! With 18 grams of carbs and 12 grams of fiber. You can see the full nutrition facts at the bottom of the recipe below. I used ground chia seeds in the recipe because I like the texture better, but you can also use whole chia seeds and it will still work fine! I find that golden flax seeds have a lighter less intense flavor than regular brown flax seeds so I prefer using golden. To grind flax seeds or chia seeds, just process the seeds in a coffee grinder. You can also buy already ground flax seeds, but I find freshly ground lends the best flavor. 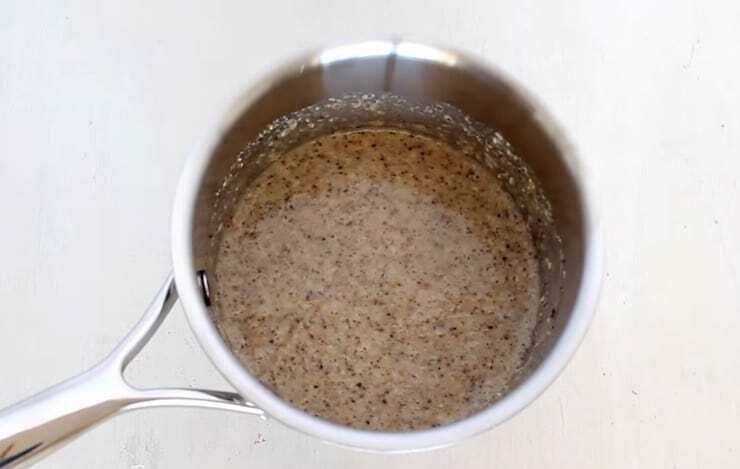 When mixing the low carb oatmeal over the heat, be sure to not to heat it too high and continuously mix it to keep it from burning on the bottom. You can make savory low carb oatmeal by adding butter, salt and garlic powder. To make it sweet add a low carb sweetener or maple syrup and some cinnamon or fruit. First, if you don’t already have ground flax seeds, grind them in a coffee grinder. Combine all dry ingredients in a pot and mix. Add the egg to the pot and beat it (omit egg step if making vegan version). Add the remaining wet ingredients to the pot and stir until combined. Heat the mixture on the stove on medium heat continuously stirring until it thickens. This should take about 5 minutes. Enjoy with your favorite toppings like berries, cinnamon or nuts! Did you like Low Carb Oatmeal Recipe (Vegan & Paleo)? Don’t forget to rate the recipe and leave me a comment below. You can also follow me on Facebook, Instagram, Pinterest! To grind flax seeds, blend in a coffee grinder. In a small or medium pot combine all dry ingredients and mix. Add the egg into the pot and beat it. Then add the rest of the wet ingredients and mix until fully blended. Heat on medium while stirring for about 5 minutes until thick. For the low-carb option, you can remove the honey and if you want, you can replace it with a low-carb sweetener like stevia (I like this brand--no weird additives). Without honey this no oats oatmeal has only 6 Net Carbs! With 18 grams of carbs and 12 grams of fiber. You can see the full nutrition facts at the bottom of the recipe below. I love oatmeal for breakfast, so I know I’m going to love this recipe! This is a great way to start your day, feeling healthy & full! I made this for breakfast this morning and it was delicious! I can’t wait to have it again! 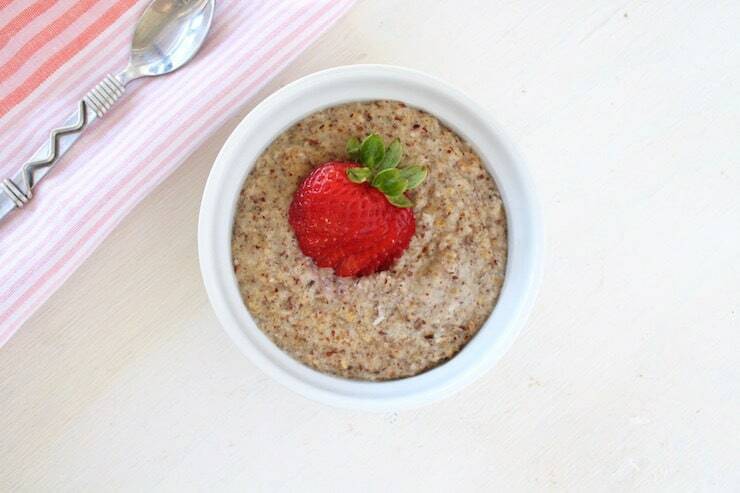 Oatmeal is such a great dish for any morning! I love that this one has low-carbs! Perfect! This is my kind of breakfast! Such a delicious way to start my day! I love having oatmeal for breakfast, and this healthy option is something I definitely need to try. Thanks for sharing!